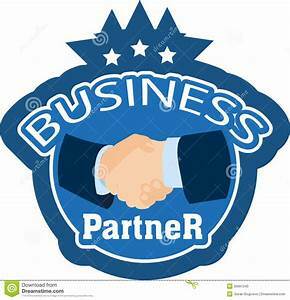 Finding a Business Partner is like Dating !!! Founder Topics: Challenge, 2 Heads, Success, Help, Strengths, Opposites, Job Description, Network, Match-Making, Community, Chemistry, Difference, Roles & Goals. 1 tuff Challenge faced by every entrepreneur is that they don’t have the bandwidth, interest or skills to do everything that is required to build their startup. Of course, they can out-source part of the work or hire employees, but that approach means more time & money to manage the work, which they don’t have. The right answer is to find a co- founder with complementary skills. 2 Heads are always better than 1 in a Startup. Both need to share the passion, long-term vision & risk, win or lose. Investors worry about a single entrepreneur getting over-whelmed, if they hav no balancing & supporting co- Founder. The challenge is how to find that elusive perfect-fit partner. 3. Write a Job Description for that idea Co- Founder.Take a hard look at your own business strengths and weaknesses, and write down what partner skills and experiences would best complete yours in the Startup. Seek input from experienced Entrepreneurs. 4. Network to find Co- Founders just as you network to find Investors.In fact, many of the same venues, such as industry conferences, entrepreneur forums, trade shows & local business organizations (ie, Meetup) are useful for both. Online, it pays to join entrepreneur groups on LinkedIn, and interact with people who meet your criteria on Twitter. 6. Join online Dating (er) “Matchmaking” sites for business Partners. Co- Founders are business partners for a startup, so don’t be afraid to join and explore sites such as StartupWeekend, StartupAgents & CoFoundersLab. Also start a discussion on the wealth of business Blogs frequented by entrepreneurs, where you can make your interests known. 7. Follow your Chemistry. Professional strengths & skills that complement each other are very important, but there’s also a significant personal aspect to startup partnerships. Entrpereneurial pursuits are a full time (and then some) gig. You’ll be spending an insane amount of time with each other in the future, and personal problems are a commonly cited reason for the failure of startups with multiple founders. Just like in a Dating relationship, opposites sometimes attract. Chemistry can draw together the most dissimilar of partners. No matter your differences, a certain camaraderie can make the bad days much better. You’re sure to have some bad days as you fight the uphill battle of starting a new business. Qualifications are important, but be sure to spend time getting to know a potential partner personally, before deciding to share your startup life with him or her. A difference of opinion is fine, the key is balance. If you don’t get along with your partner, the business isn’t going to go far. 8. The Difference between Co-Founder Dating & actual Dating is that you have pre-determined metrics for the success of your partnership. That means you may be tempted to jump in – once you find someone who checks all the boxes on your search list. However, checkboxes don’t necessarily equal chemistry, so it’s important not to rush into anything. Give your relationship a short trial to get comfortable or reject. When you’re searching for the right Co-Founder, the stakes are high. You’re looking for someone you can trust with your idea, your future + it’s a hard choice to undo. By finding supplemental strengths, and chasing your chemistry in the search for the ultimate Unicorn, you’ll be sure to find a partnership you can both win with. 9. Seek Complementary Strengths. Finding a co-founder for your Startup is a lot like Dating, It includes the impulse to drift toward similarities & common interests. For your startup’s sake, steer yourself away from that dangerous desire. The point of your partnership is to make sure that your co-founder’s strengths can “supplement” your weaknesses, and vice versa. 10. Opposites Attract (sometimes) For those with Business prowess, this means finding a Tech expert to boost your tech skills. For the tech-nerds, that could mean finding someone who’s adept at marketing & building a business – so you can focus on creating & innovating your products or services. To achieve the right balance, recognize and be honest about your own strengths & weaknesses while prodding potential partners for theirs. Do a SWOT Analysis. Strength, Weakness, Opportunity, Threat. 11. Contribute to your Community. You’ll have a better chance at finding someone who can match your big ideas if you interact with entrepreneurial communities. For example, Meetup, LinkedIN offers a abundance of online groups for local entrepreneurs to interact with and learn from each other. You should offer your unique ideas to these groups to see how they resonate. People who think alike and share your vision will engage with you, which may spark the Startup Bro- or Romance that gets your business going. Or maybe you’ll find a helpful critic who can balance your ideas and contribute to your business success that way. 12. Negotiate & Document your Rolls Royce (no “Roles”) early, including who is has the final say.No matter how equal you are, there is only room for one at the top to make the final decision on hard issues. Especially when everything feels good today, don’t be hesitant to ask the hard questions of each other. There can be only one CEO. 13. Jointly define major Milestones & key Metrics for your startup .This process is the ultimate test of a true shared vision and working style. Building a startup is hard and unpredictable work, and people get busy, so now is the time to jointly commit. If you can’t work as a team now and easily agree, it probably won’t happen at all in the future. 14. Improved Success. According to a Startup report, the right co-founder can significantly increase your chances of entrepreneurial success. The researchers found teams that paired a founder with business prowess (Jobs) & another with technical know-how (Woz) secured 30 % more funding, had 3x the user growth, and were nearly 20% less likely to scale the business too early than teams in which either business or technical expertise was over-represented. Comments: Do you know of any other Dating Tips to find a Co-Founder? For more Info, click on Startup, Founder.